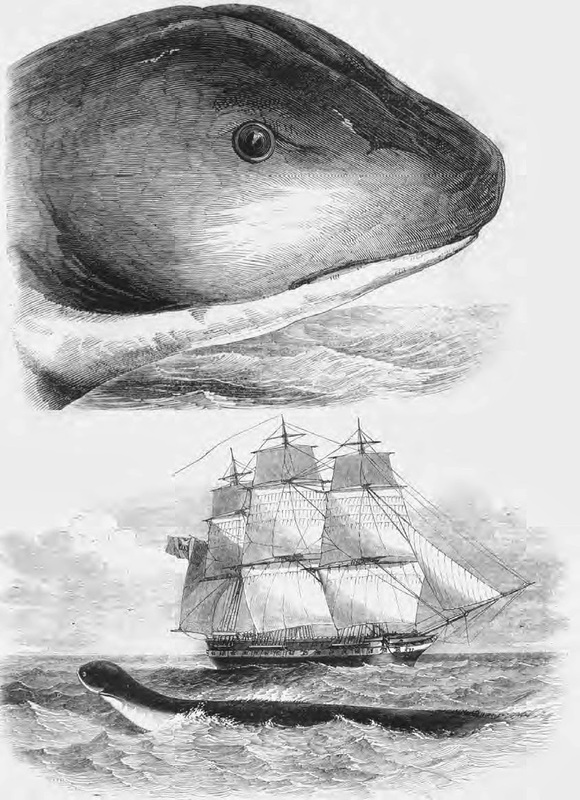 "It was discovered to be an enormous serpent, with head and shoulders kept about four feet constantly above the surface of the sea, and as nearly as we could approximate by comparing it with what our maintopsail-yard would show in the water, there was at least sixty foot of the animal a fleur d’eau [showing above the surface], no portion of which was, to our perception, used in propelling it through the water, either by vertical or horizontal undulation. It passed rapidly, but so close under our lee quarter that, had it been a man of my acquaintance, I should have easily recognized his features with the naked eye; and it did not, either in approaching the ship or after it had passed our wake, deviate in the slightest degree from its course to the southwest, which it held on at the pace of from twelve to fifteen miles per hour, apparently on some determined course. The diameter of the serpent was about fifteen or sixteen inches behind the head, which was, without any doubt, that of a snake; and it was never, during the twenty minutes that it continued in sight of our glasses, once below the surface of the water; its color, a dark brown, with yellowish white about the throat. It had no fins, but something like the mane of a horse, or rather a bunch of sea-weed, washed about its neck." The objectivity characteristic of ships’ officers who are accustomed to describing and analyzing dispassionately what they see is obvious. However, his story was rejected by palaeonto­logist Professor Richard Owen, who insisted the crew had seen a giant seal. Sceptics immediately suggested floating seaweed or a giant python or crocodile that had lost its bearings as explanations for the Daedalus sighting.